Music is an extremely important part of my life. I grew up immersed in music. I can’t imagine my life without music. I even use it in my classroom while teaching students. I tell the kids I am turning on brain music- – music that makes their brain grow. I heard something years ago that listening to classical music helps the brain grow. I never researched it until now. Music affects the brain in amazing ways. Here is what I found out. There are numerous studies that have been done about how music affects memory. I know for me, when I hear a song, it brings me back to a time, a memory, an emotion. I can remember where I was and what I was feeling when I hear the song. It is so powerful. Music, or rhythm, have helped people remember something they are learning. For example, everyone knows the Alphabet Song, and it helped them learn the alphabet. When helping Kindergarten students learn how to spell and remember how to spell their names, I made a rhythm song for them which makes them smile and spell their names correctly. There is still ongoing research on how music might help patients with Alzheimer’s and Dementia. However, what the studies are showing is quite incredible and hopeful. One study has shown that the areas in the brain that hold music memory is often undamaged. Patients were able to remember children song lyrics when they were sung to rather than when the lyrics were read to them. There is still much more research to be done in this area, but I find it very intriguing. Dr. Alfred A. Tomatis, a French researcher, coined the term “The Mozart Effect” in 1991. He spent 30 years studying learning disabled children and when they’d listen from eight to ten minutes of Mozart, there was a temporary increase in their cognitive abilities. His research goes on to say that this effect can improve the IQ by eight to nine points. This is what I was referring to in the introduction when working with my students. This study has been disputed and reputed often, but the way I see it is even if it does not improve IQ, at least my students will get exposure to some amazing music that they would not otherwise. It is no surprise that music can improve moods. 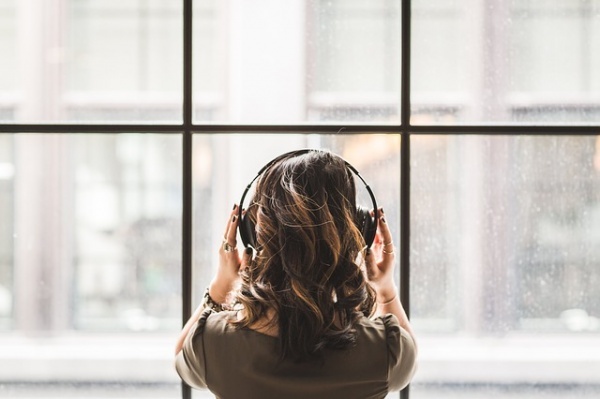 Research has been done on the effects of music on patients with depression or anxiety. All of us probably have a song or two that just always puts us in a better mood. I often play upbeat music when doing housework because it motivates me and gets me moving quickly. Research has shown that this is true in the workplace as well. It is clearly seen that music is a vital part of the human experience. This is just the tip of the iceberg when it comes to the study of how music affects the brain. Music is good for the brain, just like milk is good for the body, so drink it in and enjoy.